People of Rojava express their solidarity with Kurdish hunger strike actions. People have beeen taking to the streets in masses across Rojava and Northern Syria to express their solidarity with the hunger strike resistance demanding an end to the isolation regime executed by the Turkish state against Kurdish People’s Leader Abdullah Öcalan. The people of Qamishlo held a press conference in front of the UN representation to support Leyla Güven and demand the end of isolation. People gathered at the Osman Sebri Junction and headed for the United Nations Representation chanting slogans like “Leyla Güven’s demand is our demand”. The security of the activists was ensured by the Internal Security Forces and Hawar teams. 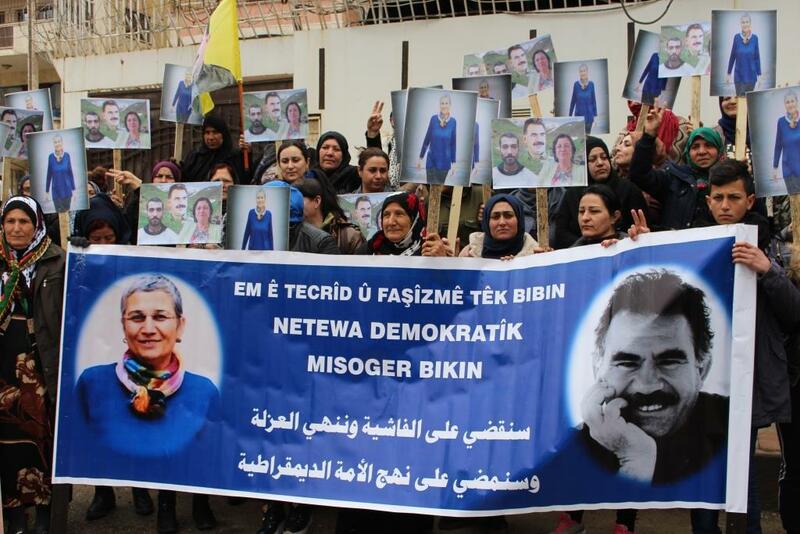 Activists carried photographs of Leyla Güven, Nasır Yağız and Kurdish People’s Leader Abdullah Öcalan. Once in front of the UN representation, Feyruşah Remedan, co-chair of the PYD Qamishlo East District, read the statement in Arabic while Qamishlo Teachers Union Co-chair, Hevîn Hîbo read it in Kurdish. The statement reiterated how the Turkish state has been deepening isolation and violating international law. The statement also added that the health of the activists on hunger strike demanding the end of isolation is at stake, and called on the international institutions and human rights organizations to take action. The press release was delivered to officials at the UN Representative Office. 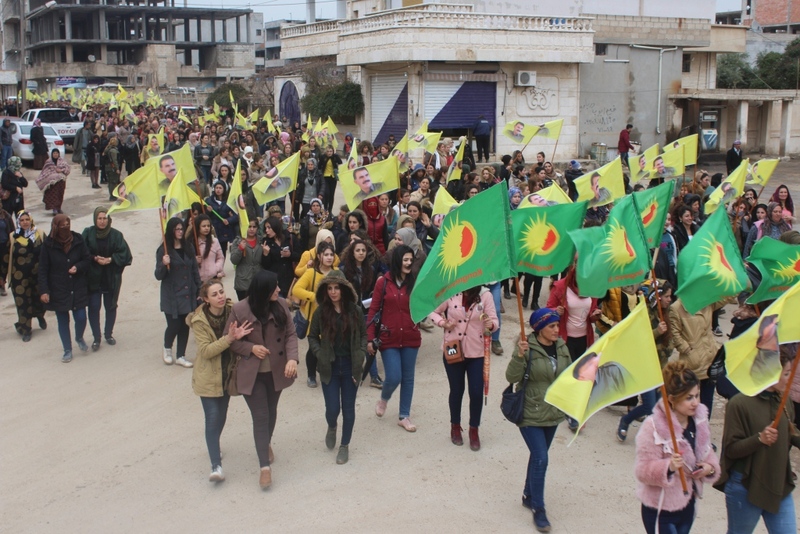 In Dirbêsiyê (Hesekê), hundreds of people marched to protest the isolation imposed on Kurdish People’s Leader Abdullah Öcalan and to express their solidarity to the ongoing hunger strike resistance led by HDP Hakkari MP Leyla Güven. The crowd gathered in front of the Youth Center and walked up to Azadi Square. Şêxika stressed that the Turkish state aimed at preventing Öcalan’s ideas for the oppressed peoples from reaching the outside world and being implemented. 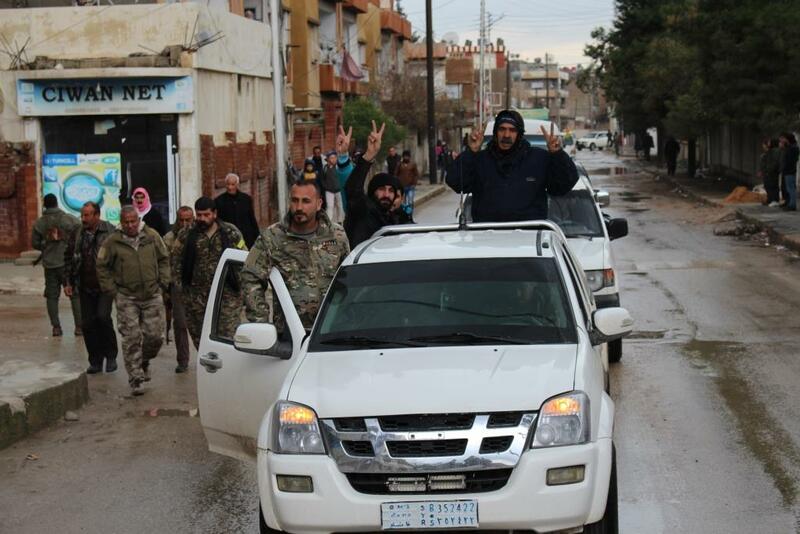 Şêxika reiterated that the people of Dirbêsiyê support the resistance of Leyla Güven and her comrades.